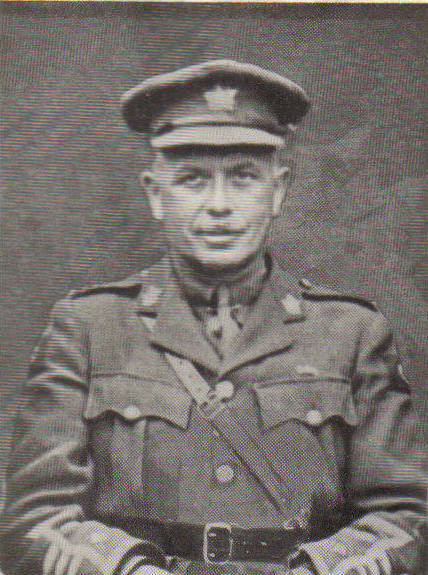 Succeeded Brigadier-General W. St. Pierre Hughes in command of the 21st Canadian Battalion. 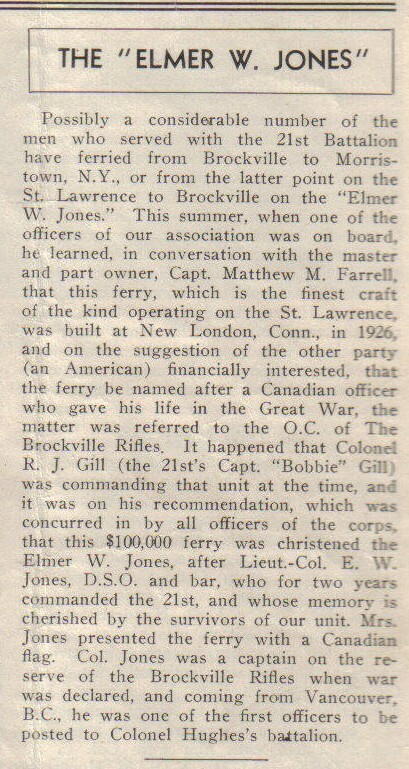 The unit of the Canadian Active Militia in which he served was the 41st Regiment (Rifles), of Brockville, Ontario. 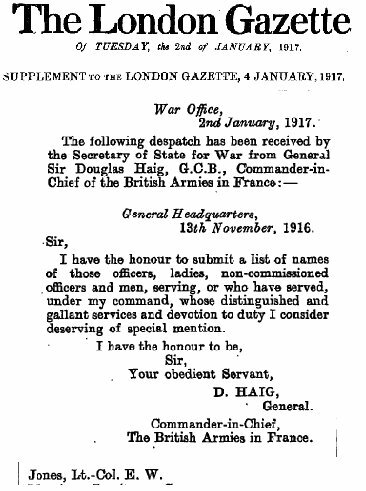 In 1907 he transferred from his home Regiment to the Reserve of Officers, with the rank of Captain. 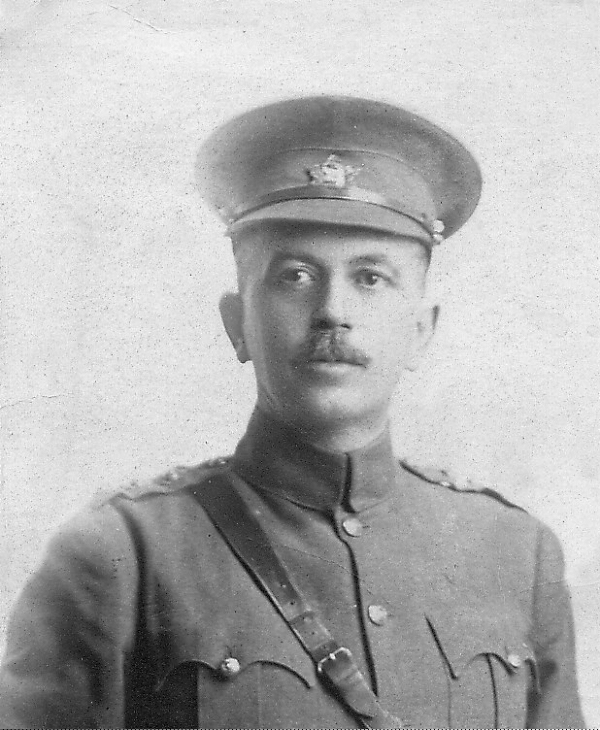 When war broke out he was practising law at Vancouver, B.C., but came East, applied for an appointment with the 21st Canadian Battalion, and became the first Officer Commanding "A" Company. 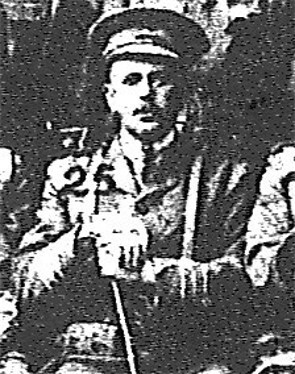 He was promoted to the rank of Major while commanding his company on the 9th of February, 1915, and was appointed Second-in-Command of the Battalion in France in January, 1916. 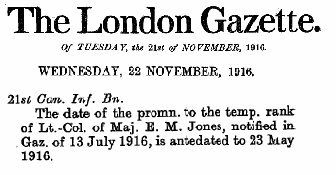 His service with the "21st" had been continuous except for a period of convalescence in England from wounds received in the attack on Vimy Ridge on the 9th of April, 1917. 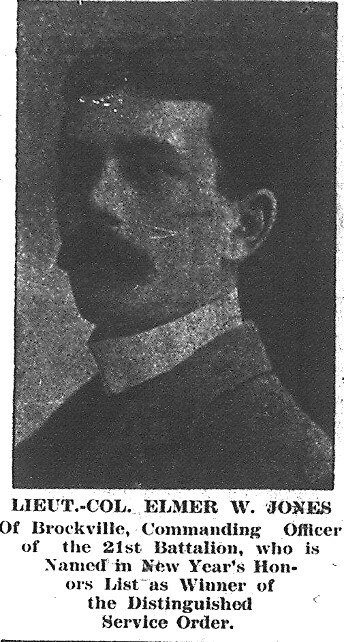 During his absence the Battalion was commanded by Major (Acting Lieut.-Colonel) T. F. Elmitt, D.S.O. 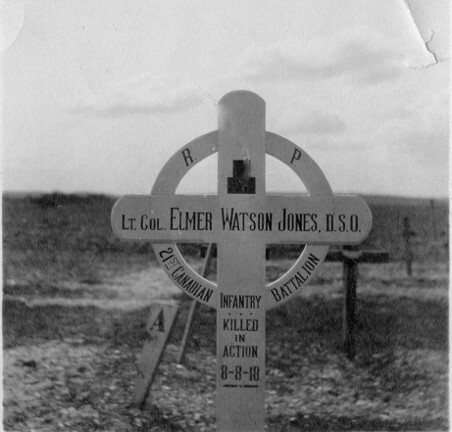 The late Colonel Jones returned to France and resumed command on the 6th of July, 1917. On the 8th of August, 1918, he was mortally wounded when advancing with the Battalion in the attack on Marcelcave. East of Amiens, and expired a few minutes later. The remains were interred in the Military Cemetery of Longeau. 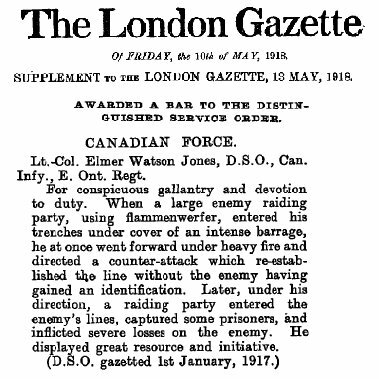 Extract from Captain R. J. Renison's (formerly Chaplain) Story of "Battle of Amiens," in "Canada"
"The late Lieut.-Colonel Elmer W. Jones, D.S.O., was one of the most brilliant and beloved officers in the Canadian Army, a man of wide culture, born in Brockville. At the beginning of the war be came over with the Battalion early in 195. 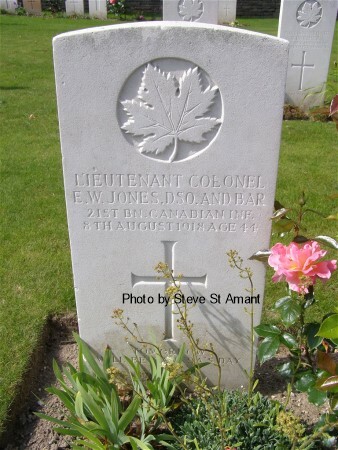 A veteran of St. Eloi, the Somme, and Vimy, he was a father to every man in the Battalion. His influence over his officers was quite extraordinary. He called them all by their Christian names, and his humorous badinage touched the spot with unerring instinct. His last con-ference with his company officers was a lesson in personality. He sat on a couch in the dug-out, with hand and leg bandaged, for he had not recovered from a painful accident of a week before. In his quiet tone he gave each his final instructions. His confidence in them and their affectionate respect for him were beautiful to behold." NOTE: The attestation papers in his service file are not the same as those posted by LAC online. It appears that someone at LAC has hand copied the version in his file. The copy online states his weight as 162 lbs, while the copy in the service file states it as 102 lbs. There are other more subtle differences as well. In addition, there is a stamp on the service file copy stating it was copied by “Archives”. This marking does not appear on the online version. 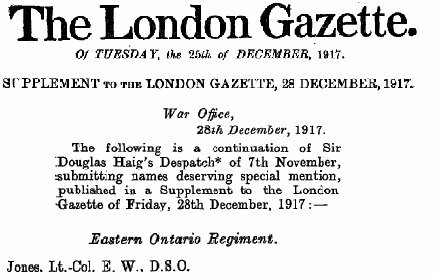 Promoted to Major effective Feb 9, 1915 – with “A” Coy. Admitted to Rest Station at St. Noir with Whooping Cough. Gun Shot Wound to left leg and left arm at Vimy Ridge, sent to No ? Field Ambulance. Admitted to 1st London General Hospital, Camberwell with gun shot wounds to left arm and left leg. Fracture of left fibula. Wounds healed and fragments united. Discharged. Leg is swollen and walks with a limp. Declared unfit for any service for 1 month. 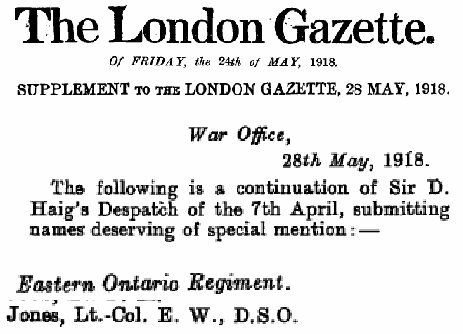 “For marked devotion to duty and exceptional gallantry, in connection with a strong hostile operation followed by a successful raid made upon the enemy. Hostile forces, strength about 280, having entered our trenches under an intense barrage and liquid fire, he promptly, and under very heavy fire, went forward, to direct the Counter Attack which was entirely successful. His well prepared plans and promptness in action, turned the operation entirely in our favour with few casualties, and restored our line without the enemy having gained identification. 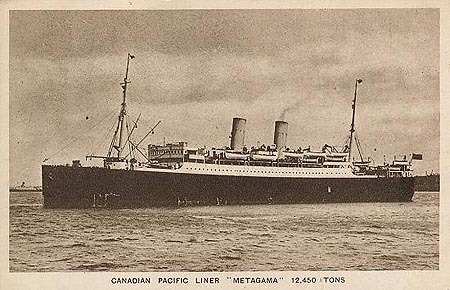 Under his direction, this success was followed by a raiding party, entering the German lines, and with few casualties, bringing back prisoners, and inflicting on the enemy, severe losses, in killed, and destruction of dug-outs. Replacement of Widow’s Memorial Cross sent to Messrs McGuerin, Hayden & Ebbs, Barristers etc., Bangs Chambers, 19 Elgin Street, Ottawa. During the Remembrance Day ceremonies in 2008, Veteran's Affairs Canada conducted a vigil each night for the week leading up to November 11. This vigil consisted of projecting the names of every Canadian soldier who is listed with the Commonwealth War Graves Commission on various buildings and monuments across Canada, and in London England. 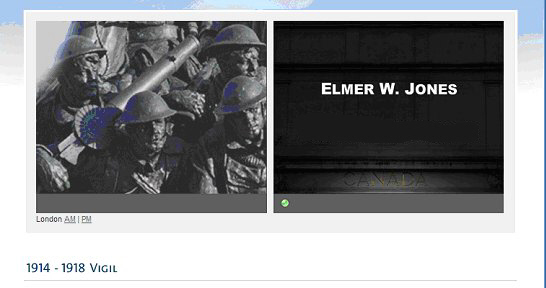 The photo below shows L/Col Elmer W Jones' name being projected on the outside wall of Canada House in London England. For the 7 nights leading up to November 11, 2010, the names of all Canadian soldiers were projected onto the Belgian War Memorial in Ypres. At the same time, the same names were being broadcast via the internet to schools across Belgium and Canada. The image above shows the opening ceremonies at the Belgian War Memorial on November 4, 2010. Below on the left is the name of Elmer Jones being projected on that wall. Below right shows the name being broadcast to the schools. Each name appeared for 25 seconds and each night 9,700 names were shown.